Shirts With Random Triangles: UCLA And Costal Carolina Sign Deal To Play In 2023. 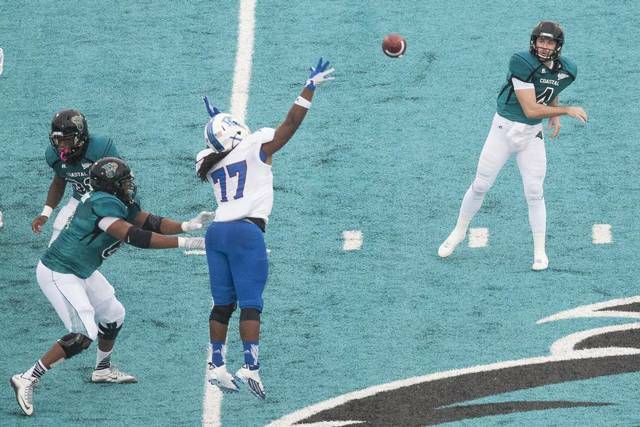 Costal Carolina is an FCS program slated to move up to the FBS in 2017. The school will become a member of the Sun Belt Conference on July 1, 2017. The Chanticleers went 9-3 in 2015, losing to The Citadel in the first round of the FCS playoffs on Nov. 28. The game is scheduled for Sept. 16, 2023.